Small Business? Startup? Or generating an invoice for the first time? Generating an invoice, as said by the business world, is the most tedious task. It is lengthy and complicated on the top. Paper invoices earlier would take a lot of time and errors before getting one finalised. 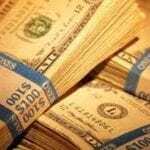 We are all aware how important is healthy cash flow in business. It has a direct impact on day to day business activities or sometimes on the entire course of business together. CB Insights conducted a study on on 101 failed startups to understand and outline the major reasons why startups fail. Based on their study, they listed out top 20 reasons behind the massive failures. Poor cash flow management and No market need of the product topping the list. It is important to understand that keeping a close eye on finances helps in efficient management and accurate forecasting. 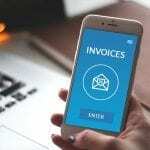 In order to keep a close eye on finances and manage payable and receivables, businesses these days are opting for Online Invoicing Software. The cloud based accounting software are letting them manage invoice generation and finances at one place. By this, they are able to easily generate invoices, manage clients and vendors, and cash flow in business. 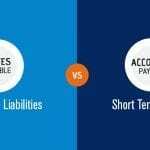 Invoices play a vital role in managing cash flow of the business leading to efficiency in business payable and receivables. The first and the foremost step for businesses is to stop generating and sending invoices on paper. It not only takes time to get created but the entire procedure of sending out one might take days. By this you are delaying the process of receiving payments. There are higher chances of making human errors while generating invoices on paper, adding up to extra efforts in total. Make a move towards invoicing software available online and say goodbye to extra efforts and costs associated. Avoid every possible chance of conflict and clearly define all the products and services you have offered. Including each and every point in the invoice will lead to a clear understanding for the client. This way the process will stay bumps free. To and forth for correction of invoices can be avoided when creating them online with artificial intelligence of the ace technology. when certain number of taxes are used again and again, isn’t it a good idea to group them together and then use them repeatedly and easily? Save yourself from the hassle of adding different kinds of taxes again and again. Group them together and use them when and where required. It is always a good idea to encourage early payments by offering discounts. Offer tax rebates and discounts to encourage clients to make early payments. Forget sending different copies to different individuals, tag them together in the single mail and shoot the invoice together. You have now saved almost half an hour of extra efforts, Congratulations!! It is easy and complications free. How about a hassle free life? To avoid any last minute confusion, it is always a good idea to pre define things. Talk with your clients about the most suitable payment method and include details while sending out the invoice. This will avoid any chances of confusions and conflicts later on. When you send an Invoice Online, the system lets you easily attah payment details in Email and with Invoicera, the trusted online invoice generator for over 3 million businesses, you can receive online payments from more than 30 integrated payment gateways. Not just regular client dealings, but going a little extra can actually create a healthy relationship. Gaining their trust is important. In order to gain trust of clients from different origins (While dealing globally) an easy step of creating invoices in their language can help them understand at best the goods/services provided. 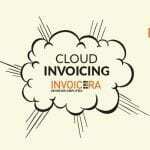 Invoicera has a unique feature associated with it, that allows you to create multilingual invoices with just one click. 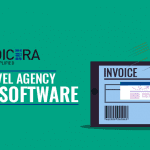 You can also erase all the hassle of currency change and receive payments globally with more than 30 online payment gateways associated with Invoicera. Calling up all the time and following up for payments is an outdated process. Gently send automated payment reminder for overdue payments. It is a more professional approach when contacting clients or reminding them to make payments. Following up personally can be the next step, wherein you would want to know the reason behind unpaid invoices. It saves a lot of time and efforts, which can be then used in creating something more productive. Make sure your client is completely aware of your policies and T&C. A well defined note of T&C with invoices will make them aware of all your policies and procedures. This way you are being completely transparent as an organization and leaving no doors for misunderstandings and confusions. It is always a good idea to review the final invoice draft before sending it. You might have skipped something, that can be added now! Online invoicing software allows you easy editing and saving invoices in drafts. While paper invoices allow zero editing, invoices created online can be easily edited and saved. Send them as PDF or mail them directly is completely up to you. It can also be saved in the cloud for future reference. Data once saved can be easily used again and again with a few and you don’t need to follow the lengthy process every time. 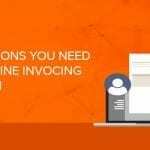 When you are sending the invoice for recent product and service, add the pending invoices too, if any. This way you can gently remind them to clear all the outstanding invoices and have a clear track of money that needs to be collected. Also, offer payment discount for early payments and encourage your clients to pay well in time. Small steps can easily erode the possibilities of imbalance in cash flow. Also, read about 5 Effective Ways To Manage Small Business Invoices. Sustainability is important! Each small step can either add up to growth and sustenance or pull you back to the hole of failure. While none of us start to fail, it is important to decide carefully the path you want to follow. Initial stage for the business is more of a hit and try, and learn each day. But not always you should wait for failures to learn. Focus more on learning from others’ experiences and avoid such mistakes in your course of activities. Keeping in mind one of the most important aspect of business i.e. finance management, we have created a complete list above for you to follow. 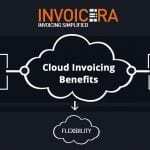 In order to experience the world class system of invoicing online, you can sign up for free lifetime usage of Invoicera.